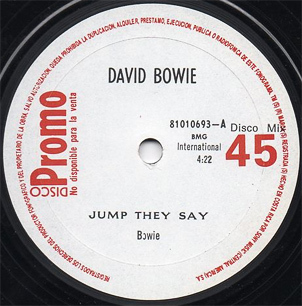 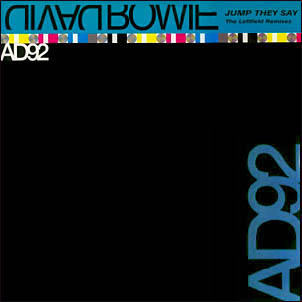 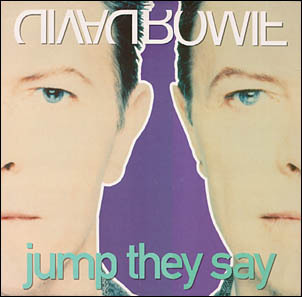 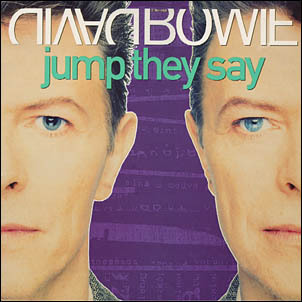 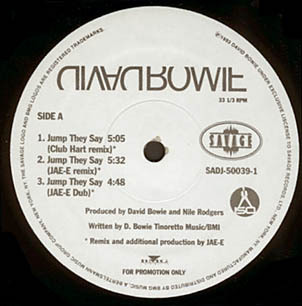 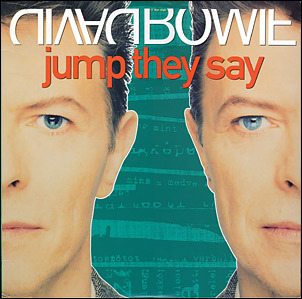 David Bowie - Illustrated db Discography > Jump They Say 12"
Promo 12" with Brothers In Rhythm remixes. 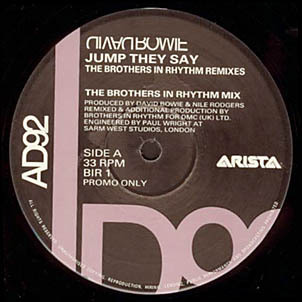 Label of the Arista/BMG BIR 1 promo 12". 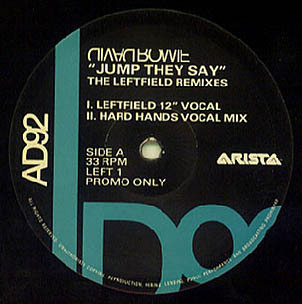 Promo 12" with Leftfield remixes. 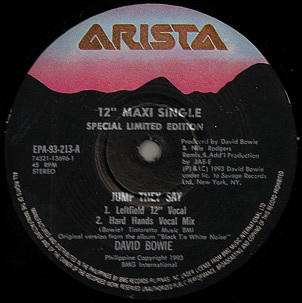 Two label variations of the Arista/BMG LEFT 1 promo 12". 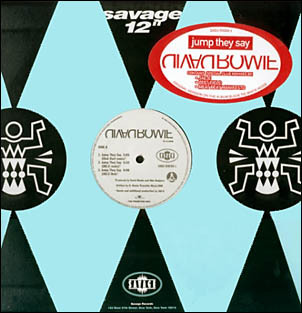 Label of the Savage SADJ-50039-1 promo 12". 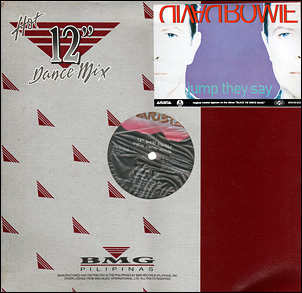 Same tracks as on the LEFT 1 promo 12". 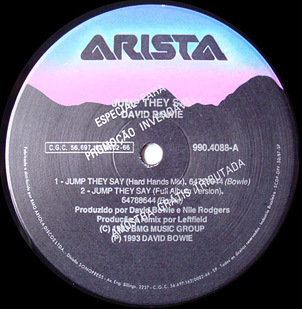 Label of the Arista EPA-93-213 12". 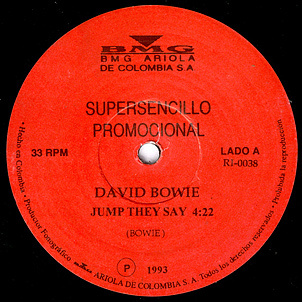 Released in Brazil as promo-only, with the track listing and artwork identical to the UK 12". 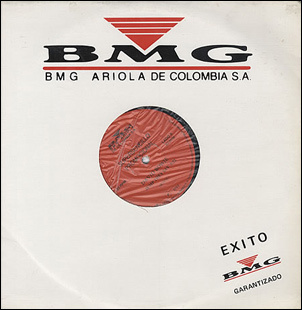 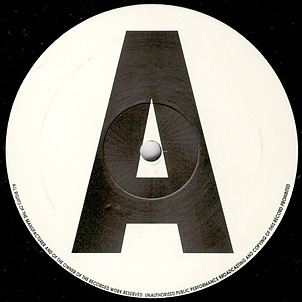 Label of the BMG/Ariola RI-0038 promo 12".